Simon has worked for Community Campus since 1991, initially as a Tenant Support Worker and now as Service Manager. 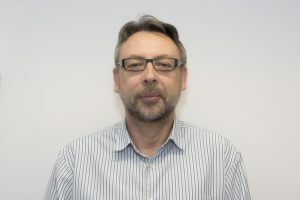 Simon’s background was in housing advice and homelessness and he was involved in the establishment of Community Campus 87 as a voluntary board member. Simon has a vast experience of working with young people and an extensive knowledge of welfare, housing and children’s legislation. Simon has a BA (Hons) in Humanities and has gained an NVQ Level 4 in Operational Management and is IOSH qualified in Managing Safely. Simon has overall responsibility for the delivery of a quality housing and support service across Middlesbrough, Stockton and Hartlepool. Sandra has been employed by Community Campus since 1989. She is responsible for the financial control of the organisation and it’s subsidiary company, Community Campus Trading Ltd.
Sandra has a vast experience in financial and administrative management and has experience of working with a diverse variety of funding streams, from Government funding e.g. NRF, SRB, Supporitng People, Housing Benefit to Charitable Grants e.g. National Lottery and income generation. 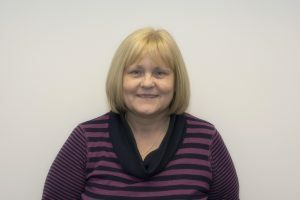 Sandra is a member of the St Mary’s Centre Board of Directors, the organisation which provides and manages office space for the voluntary and community sector in Middlesbrough.